I have come across an ongoing game using The Cthulhu Hack system as a ‘convenient system for Hangouts’ (given the simplicity of the mechanics) while reading a blog post about the system on The Guardian of the Arcana. 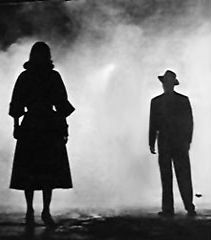 They’re playing a Noir campaign “The Case of the Jumbo Shrimp” with the system and have the session recorded and accessible on YouTube. It seems to me a very simple and convenient system for Hangouts (for simplicity of mechanical) [with] more narrative and less … rolling dice […]. The mechanics for clues also pleases me; the research capabilities of a character are a resource that is just running style Trail of Cthulhu but without being so detailed. On the negative, I do not think it suitable for long campaigns (end mechanically it would be a bit repetitive, you can not give you much variety opponents) and especially that too note its roots in a medieval fantasy game. A couple of character classes do not stop me to fit into Lovecraftian games (the Bruiser is obviously a fighter, and Ruffian is too much like a rogue, even with the special ability to backstab). Part of my plans for my future releases will be to expand the distance from the system’s Black Hack ancestry without losing the simplicity. The Cthulhu Hack system has only just got off the ground in its own right – released mid-May – so, I have hopes for much more to come. I certainly have a lot on the slate for future releases and expansion. In the meantime, I’m really happy to find people using the system – and found watching (without understanding) really engaging!